What is the AMEX Email Scam? 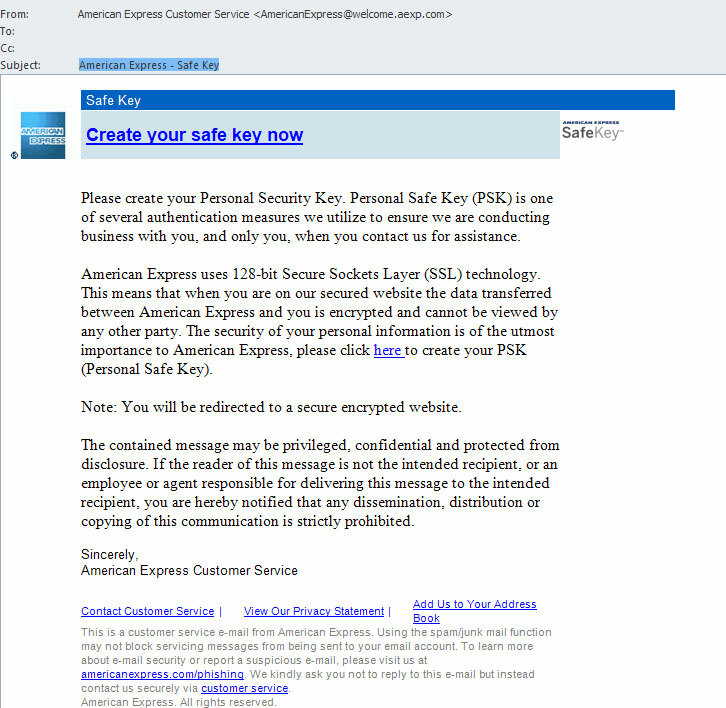 AMEX Email Scam refers to a phishing email supposedly sent by American Express. This phishing email campaign has started recently and seems to be ongoing. 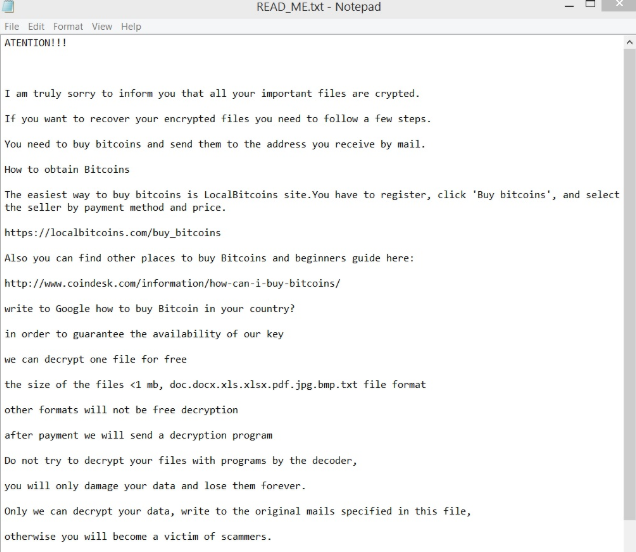 The Windows Defender Security Intelligence team has warned users about this campaign, along with another one involving the streaming service Netflix. The attempts aren’t particularly sophisticated or convincing, but not all users pay enough attention to notice the signs pointing to the email being a phishing attempt. The AMEX phishing email claims that your profile could not be authenticated after a recent update to the platform, and that you need to fill in a form in order to solve the issue. The form requests you provide all kinds of personal information, from your card number to your mother’s maiden name, and it will end up in the hands of crooks if you fall for the phishing attempt and put in your information. 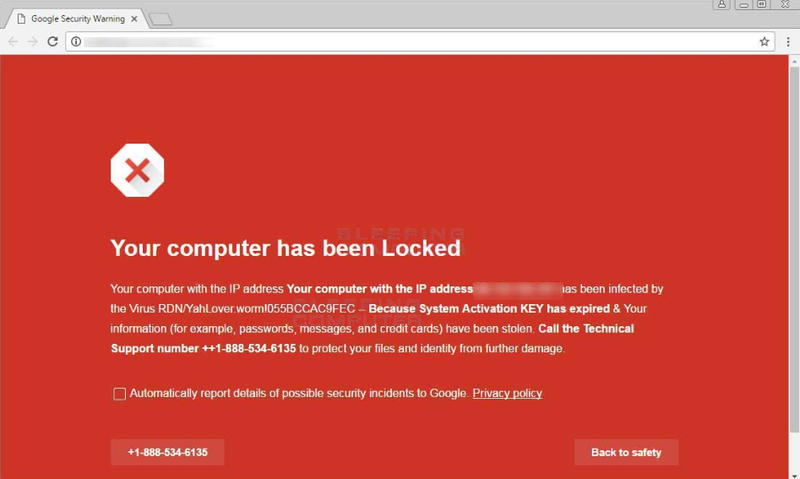 Generally, most phishing attempts are pretty obvious, unless you are the targeted victim. The AMEX email scam is very obvious from the very beginning. The first sign is the way you are greeted. Instead of your name, you will be called Primary Card Member. When you get an email from your bank, or any service you use, you will always be addressed by name, not User, Member or Customer. If you are greeted with something besides your name, think of it as suspicious. The next thing you should notice is the abundance of mistakes in the text. If you’re a fluent English speaker, you will immediately notice the awkward English and the missing “a” or “the”. Besides the immediately obvious signs, there are more subtle ones. If you were to google the email address from which the email was sent, you wouldn’t be directed to American Express. When dealing with emails, always make sure the email actually belongs to the person/company that the sender claims to be. If the sender’s email address is a random combination of letters/numbers, you can immediately disregard the email as spam. You should also be careful when you are asked to click on a link in the email. 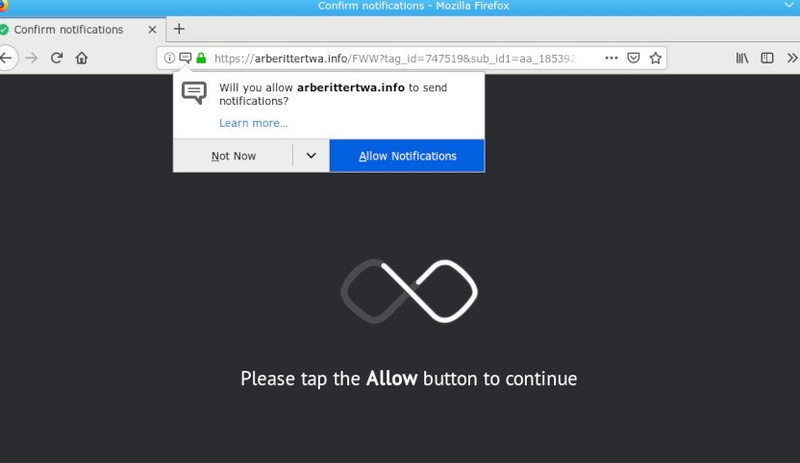 You could be led to a malicious website, or a phishing page that is made to look identical to the legitimate page in order to trick you into revealing your personal information. If you were to click on the link in the AMEX phishing email, you’d be taken to a website that requests your personal information. Firstly, you’d be asked to provide your user ID, password, card number, CID number, card security number. You are then asked to enter your personal information. The form requests personal information like your mother’s maiden name, your mother’s birthday, your place of birth and your first elementary school. Obviously this information is requested so that crooks can bypass the additional security questions when trying to take over your accounts. If it wasn’t obvious that this is a phishing attempt, these questions certainly make it clear. Lastly, the form requests your email address and your email password. It seems the crooks behind this phishing attempt want all your accounts. It goes without saying that no financial services ever request this kind of information via email. Information such as card numbers, security question answers and passwords are something you should not disclose to anyone. And no legitimate service will ever request it. Thus, if you get an unsolicited phone call or email that asks for this kind of information, do not provide it. You should also report the phishing attempts to the institutions that the senders claim to be from. Download Removal Toolto remove AMEX Email Scam Use our recommended removal tool to uninstall AMEX Email Scam . 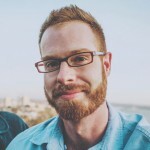 Trial version of WiperSoft provides detection of computer threats like AMEX Email Scam and assists in its removal for FREE. You can delete detected registry entries, files and processes yourself or purchase a full version. Download Removal Toolto remove AMEX Email Scam Our research team recomend to use WiperSoft to delete AMEX Email Scam . Or you can use alternative software (Norton, Kaspersky, BitDefender) which you can find here.